The game offers connectivity with the Game Boy Advance game Harvest Moon: Friends of Mineral Town and Harvest Moon: More Friends of Mineral Town. 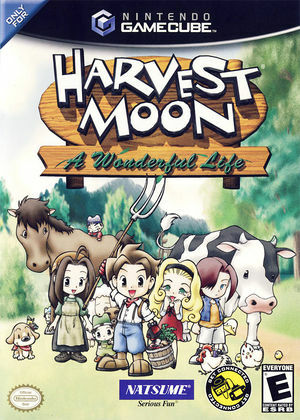 Another related GameCube game called Harvest Moon: Another Wonderful Life was released where the player goes through the storyline of A Wonderful Life as a female character. An unknown instruction error occurs when trying to load a cut scene and/or game location in the game environment. The graph below charts the compatibility with Harvest Moon: A Wonderful Life since Dolphin's 2.0 release, listing revisions only where a compatibility change occurred. This page was last edited on 1 March 2018, at 04:27.